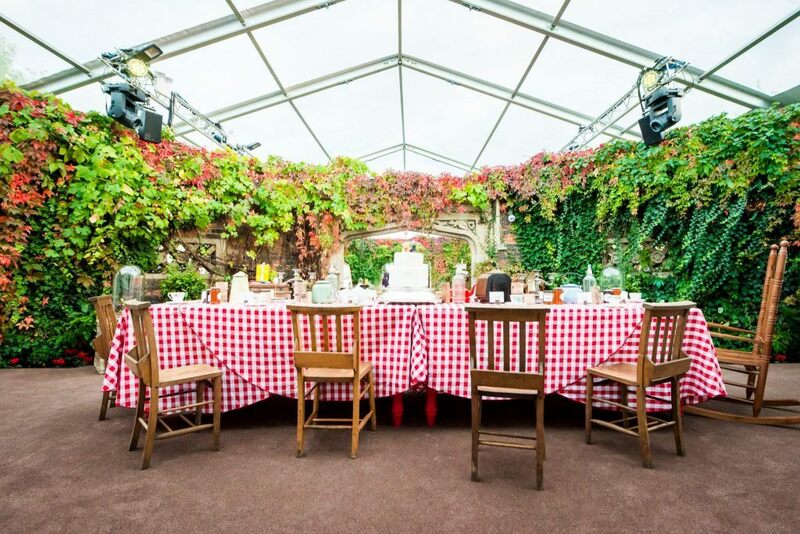 The Secret Garden is a firm childhood favourite; the story tells a tale of mystery, intrigue and discovery – the perfect set up for a bespoke event. We’ve taken inspiration from elements of this classic and put a little Mask spin on it. Ideally you’ll need somewhere completely private, but as long as it gives the illusion of a secluded and enchanted space, you’re on to a winner. You’ll want to take your guests on a journey as they explore their new surroundings, revealing secrets and letting the story unfold. It goes without saying a garden would be best, but that’s not always feasible. If you’re got 500 people to accommodate, you’ll be hard pushed to find a garden suitable. Don’t assume you’ve got to have your event outdoors either, there are loads of venues which bring the outdoors in. 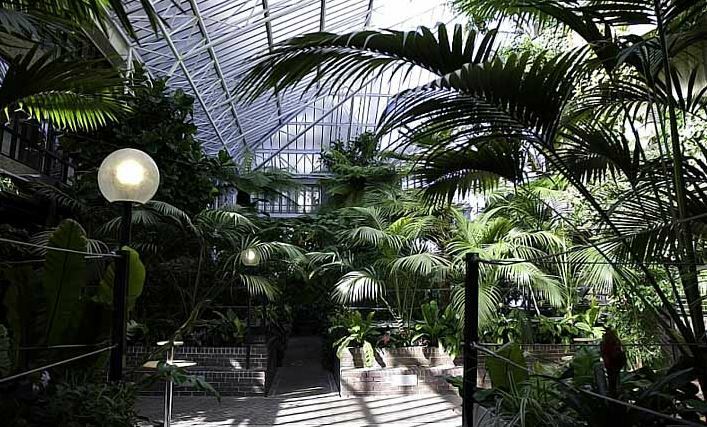 The Barbican Conservatory is an amazing venue, which obviously doesn’t require too much dressing for this theme. 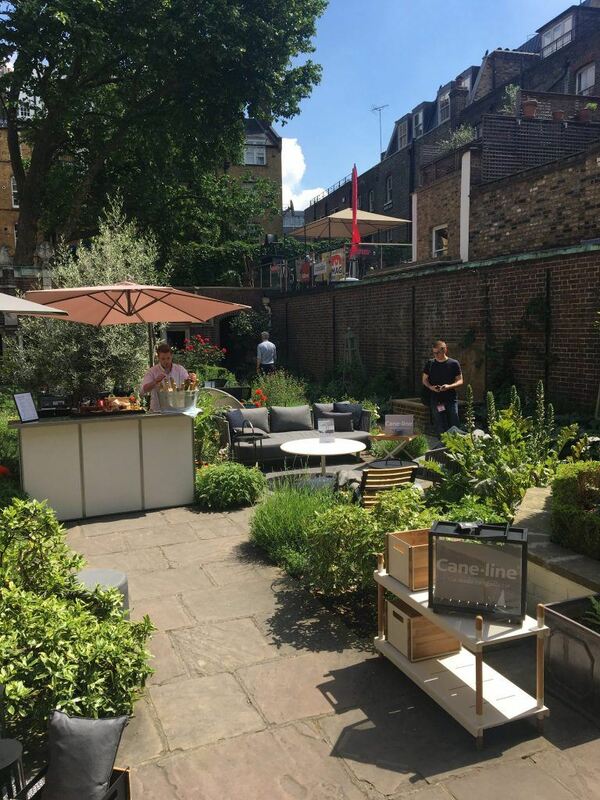 If this tropical garden is a bit too exotic for the event you hand in mind, The Cloister Garden at Museum of the Order of St John in Clerkenwell holds up to 150 guests and reflects a more traditional British garden. If you’re looking for a blank canvas venue Hoxton Arches has both flexibility and secrecy. Tucked away in an old railway arch, the exposed brick gives off an organic feel and the venue can be filled full of pot plants and flowers. 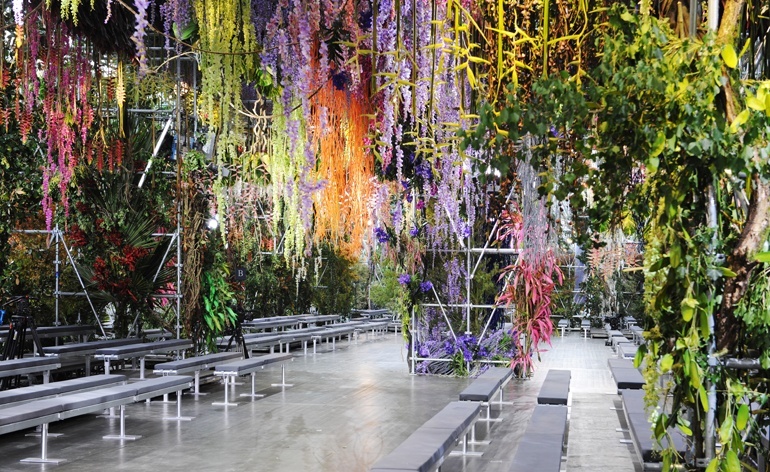 Dior created a jungle themed catwalk show, the outside had a vertical garden crowning the entrance, and inside was decked with wisteria, orchids and lilies. We fully appreciate not everyone has the budget to cover a 20ft high structure with fresh flowers, but it’s something to aim for! Imagine how stark that venue would have looked without the greenery – proof you don’t need a garden for this party theme. We’ve got a soft spot for The Roof Gardens in Kensington – you can hire the venue privately and it has both indoor and outdoor space. There’s arches, exposed brick, plants, flowers – just about everything you need for a secret garden. Depending on your venue choice you can go big or small with the decorations. If you’re not outside, you want to create the feeling that you are, think of pot plants (both real and plastic) dotted everywhere and artificial turf over the floor. If you’ve got lighting available you can use blues and green, rather than a harsh white spotlight. A leafy stencil for a gobo light could also be a handy back drop to obscure a plain internal wall. Why not ask guests to walk through a wooden door with a shabby ‘keep out’ sign. Arches full of flowers, shrubbery and vines make great photo features and also direct guests to different areas of the venue. Lanterns and festoon lights will also add to the atmosphere, creating some ambient lighting for when the sun goes down. If you are outside in a garden, make sure there’s some wet weather cover and decorate accordingly – no one’s going to want to explore a secret garden in the rain. When you’ve got the theming set, it’s time to make use of it. You don’t want to have spent hours creating the perfect secret garden and then put a white plastic table in the middle for your catering. Think of other garden props and utilise these as your surfaces – wheel barrows, terracotta plant pots, sun dials, tree stumps and garden benches all fit the theme perfectly. We think canapés and cocktails work amazingly for this theme, however it doesn’t mean you have to rule out a sit down dinner. You can serve any type of food, as long as the presentation style is in line with the rest of your theming. Canapés could be served on toadstools with edible “moss”, cake pops served in plastic grass or naked cakes (rustic, barely-there icing and visible sponge) are great dessert options. If you tell your caterers what sort of event you’re having, we’re positive they’ll let their imagination run wild. This is pretty easy to master; all the liquid ingredients go into a cocktail shaker with ice, give it a shake for 15 seconds and then strain into a chilled cocktail glass. Add your sprig of lavender. 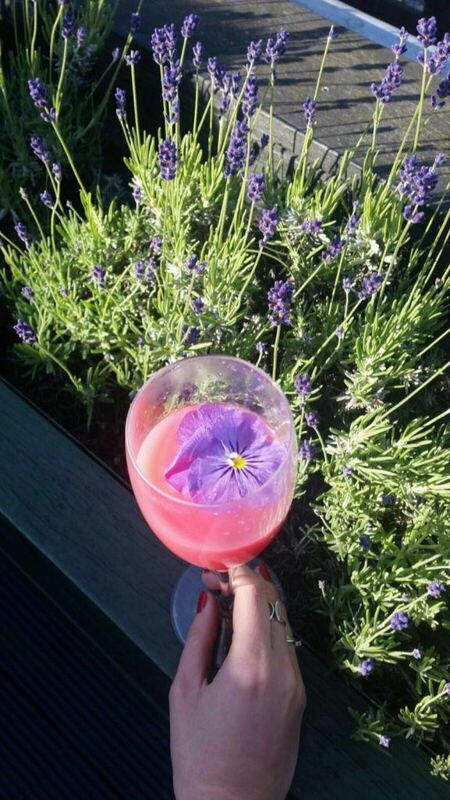 Place the ingredients, except the Prosecco and pansy, into a mixing glass with ice and gently stir. Strain the mixture into a chilled cocktail glass, and top up with Prosecco. Garnish with the pansy. Once you’ve got everything sorted you’ll want to invite your guests, and why not continue with the theme. 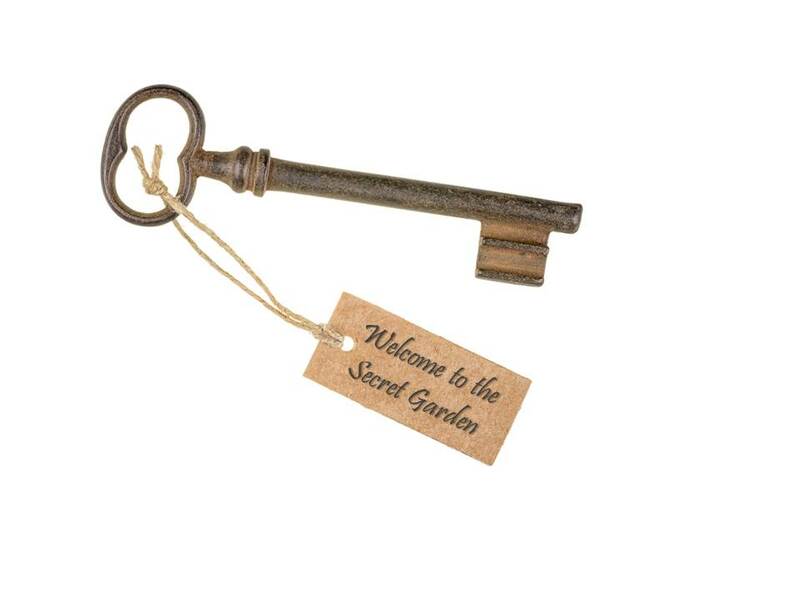 If you’ve not already said it’s going to be a secret garden party, you can let your invites give the hints. A key to that locked garden gate makes a lot of sense. You can search for old keys at car boot sales (but these are in demand now so might not be as cheap as you think), and attach tags to them with the event details. Going down a more garden-esque route, you could etch onto pieces of wood for a natural organic invite. These could be traditionally shaped, or circular as if sliced from a tree branch. 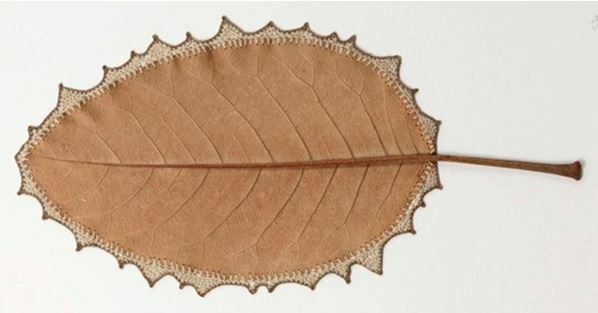 We recently discovered artist Susanna Bauer who works with natural objects, the creations she makes with leaves made us think of beautiful and delicate styled invites. Pressed blooms could also add a botanical touch to the invites. 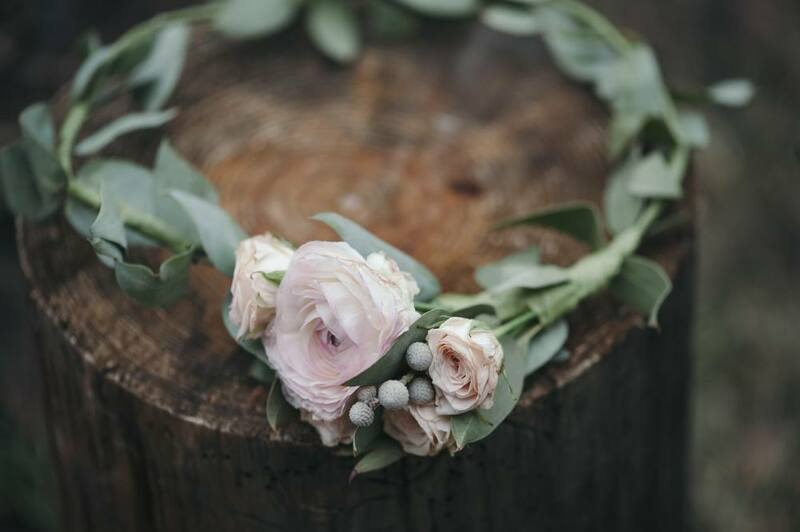 Flower head dresses and garlands are a must for any event like this. You could give them to guests on arrival or set up flower stations where guests can get stuck in and make their own. The cocktails we suggested earlier as also fairly simple, so put your guests to work and get them involved in some fun cocktail making. This theme evokes a sense of mystery and guests will be looking for discovery, so instead of doing an obvious activity, you could hide tokens and treasures throughout the space. It could be food, or messages, or take away gifts. Exploration is key and guests will enjoy nothing more than having a wander through while chatting with other guests and stumbling upon another secret. We can help you create a truly memorable occasion for you and your guests, whatever your theme. If you’re looking for help with theming / styling for your next celebration, contact us and we’ll create the perfect bespoke event, just for you. Make sure you sign up to the Mask Newsletter, designed to give you an insight into how our minds work, our latest events and cultural happenings.